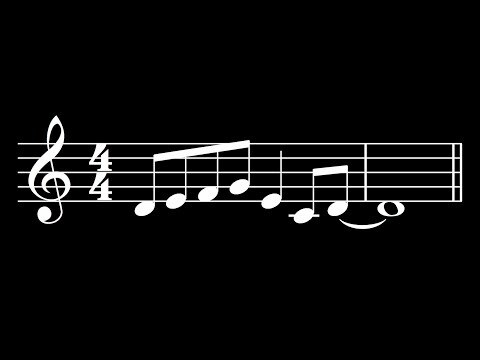 Here's the very 1st Bass Riff of the Month (BRotM) Challenge, being run by @stratman3142 and @TTony. The challenge is now open, and remains open for submissions until 11:30pm on 24th January 2018. We're starting early because people may have some time available over the Xmas break. Keep it to a maximum of 50 seconds. This is about riffs, not songs. Include your forum name in the email, but let us know if you would like your entry to be anonymous. I'll try to upload the tracks soon after I receive them, rather than wait until the end. Feel free to describe how you created your entry, your inspiration, techniques whatever.... It would be good to get a discussion going. Voting will start soon after the submission deadline of 24th January 2018, with each voter selecting their 1st, 2nd and 3rd choice. @Sporky - you know this one is just for you. Oh goody ..... I'm up for this .. It wouldn't have been so terrible if he had bothered to make it swing. Even without video images, it was obvious that he was white. I wonder if there's already been an entry for this challenge?? Don't worry, I'll convert it - mutter mutter !!! The person who did it failed to check the save as format, so excited were they at having actually remembered how to get everything else set up and working. I'm not entering. Real bass players don't riff. Real bass players don't like to be lead instrument. Real bass players don't need the recognition. Chapman Stick ... let us know if you would like your entry to be anonymous. Come off it. Who else on here plays a touch board instrument? Are you asking for a vote?? I was trying to be dark and mysterious, but clearly it came across as dickish! Normally we'd wait until the completion date, and then put all the submissions up at the same time. if @Bridgehouse hears that first one, he'll never submit anything himself for fear of being compared. The Composition challenges weren't put up until all the entries were in. However, the entries to all the other challenges were usually put up as they were received, when Antique_guitars got the time. But we can change the way we used to do things. I don't care myself, but I can see why some people would prefer to see them go up all at once. Either way, I probably won't listen to them until they're all up and entry is closed, then I can grab a pad and pen and do it all in one sitting. If people prefer all the entries to go up together at the end, we can go with that. Let me know. I don't mind either way. Received an entry from @Funkfingers. Are people OK with me putting these up as I receive them, or should I hold off and post them all together after the submission deadline? I don't mind hugely, although it might be more of an event if they were all posted at the same time - ie deadline day? OK I've removed the posting of the entries for now. I've asked the question on the other entry threads and I'll go with the general consensus, which might just be your view if nobody else bothers to comment . You can be Major Stratman. Quit whining and submit a riff. My attempt is pure Sticky cheese. I'm sure that you could top it with one hand behind your back. My turn to whine now. I know what I want to play but I need to take a break until the blisters go on my right hand fingers. I obviously don't practice and play bass often enough. You're a pro! I only get a blister on my thumb! Sorry to disappoint, but my biggest blister was on my thumb. 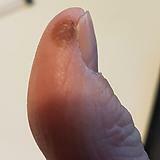 ... and here's my entry for Blister of the Month (BotM). Except it's turned a funny brown colour now. first time recording using a Mac, Garageband and a zoom R16 as an interface .